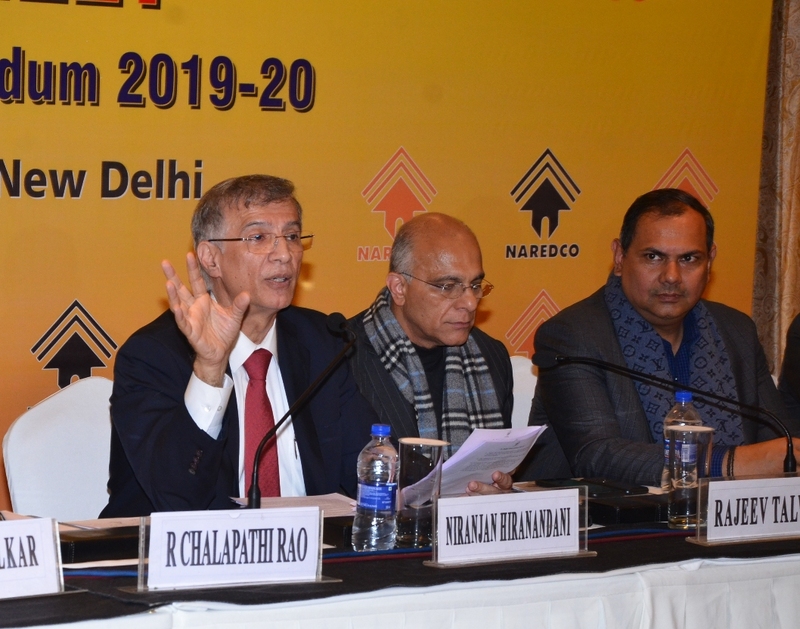 New Delhi, 22nd January 2019: National Real Estate Development Council (NAREDCO), an apex body of real estate sector, has requested Government to address the key concerns of the real estate industry and home buyers, offer tax incentives across housing segments and boost buyer’s confidence through a slew of measures in the upcoming interim Union Budget 2019-20. “NAREDCO’s key demand is to rationalize GST rate on under construction properties by bringing it down from 18% to 8% slab with land abatement. “NAREDCO has also recommended reduction in FAR/FSI utilization, prescribed in Section 80IBA, to 50% from 90% and 80% prescribed for four metros (Delhi, Mumbai, Chennai and Kolkata) and, other cities respectively” to make it workable added Talwar. “To add to the supply of housing, NAREDCO has also suggested bringing the services of companies engaged in the business of rental housing under the ambit of Section 80IBA and increasing deduction limit from rental income, under Section 24(a), from current 30% to 50% for general category and 100% for handicapped persons, women and senior citizen”, Mr. Talwar added. Highlighting the key concern of the industry, the memorandum has raised the issue of stressed assets in the form of land parcels and delayed projects which have troubled the sector and home buyers for long. “Stressed assets have been a cause of concern for developers as well as home buyers, who are struggling to get possession of their booked properties. This can become an opportunity if Government and lending institutions come forward and arrange required fund to complete the stalled projects. NAREDCO calls upon Government, banking institutions and other lenders to infuse liquidity and revive stalled projects,” said NAREDCO Vice Chairman Mr. Parveen Jain. “Other key recommendations include exemption from tax on notional rental income from housing units held as stock-in-trade, exemption from Capital Gain, under section 54, if sale proceed is used to buy houses one or more, increasing limit of interest deduction, under the Section 24(b), to INR 3 lakh from INR 2 lakh and inclusion of stamp duty within the purview of GST” added Mr. Parveen Jain. National Real Estate Development Council (NAREDCO), an apex body of real estate sector & Ministry of Housing and Urban Affairs; Govt. of India jointly organizing the first Global Housing Technology Challenge – India, on 1st & 2nd March 2019, at Vigyan Bhawan, New Delhi. NAREDCO, as Knowledge Partner, has taken the responsibility for execution of this global event. The program involves Conference and Expo on new housing technologies, from across the globe. Aim is to shortlist potentially sustainable technologies for different geographical regions of India and use them to demonstrate their viability with regards to sustainability, adoptability, speed and quality. This is going to be the biggest game changer in the way housing construction is done in India and help in making up of the huge short fall, that exist, in the shortest possible time.